I need help with my Macbook Pro setup. Its running really slow and i think its down to memory use and the way i have set this up. I had a similar issue 6 months ago so i reinstalled iOS and it seemed to work ok but now im having teh same problem. this might be down to the way i set it up. 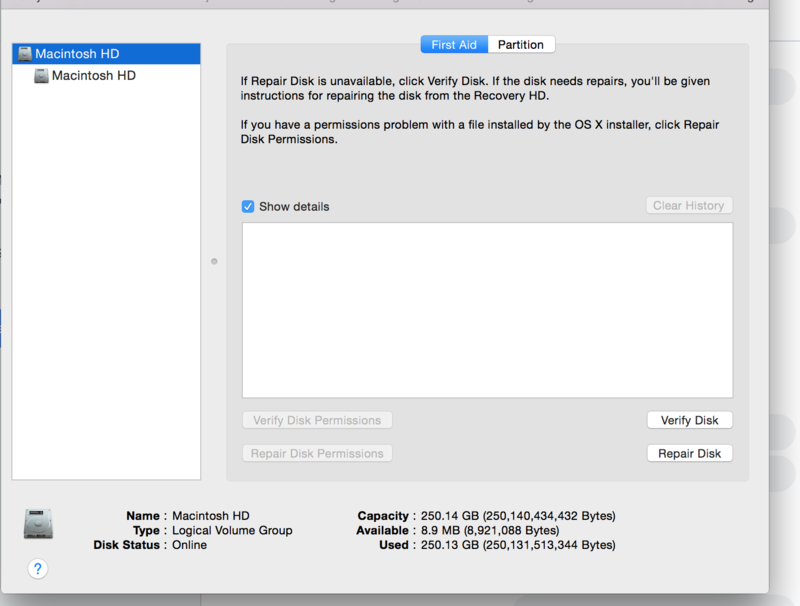 Ive taken screen shots from Disk Utility showing how it looks and you an see that the memory is full on a particular disk. Im not sure why or what i need to do to resolve this so any guidance would be welcome. With only 8MB free I am surprised it runs at. You need to clear some of the data off it.